Don’t get left with smelly, soaked & ruined carpets! After your home & car your soft furnishings can be your next highest purchase! Call a fully qualified carpet cleaner, upholstery cleaner, odour & stain removal specialist, professional & fully vetted industry approved service provider for a free no obligation quote. Clark’s Carpet Care .co.uk is Trained, Qualified & Trusted by the absolute best, including a holder of The Royal Warrant & By Royal Appointment to Her Majesty The Queen. A full member of every standard baring organisation with industry issued photo identification certificate of qualification presented on arrival for your assurance. Approved member & endorsed service provider of the National Carpet Cleaners Association. 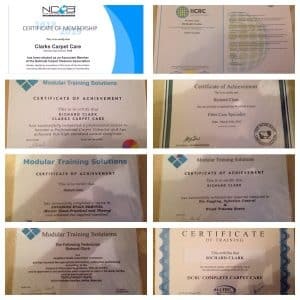 Fully Qualified Fibre Care Specialist, Member & Approved Service Provider of The WoolSafe Organisation. Institute of Inspection, Cleaning & Restoration Certification. Approved Service Provider for Wool Owners Warranty. Magicman Insurance repair & restoration. 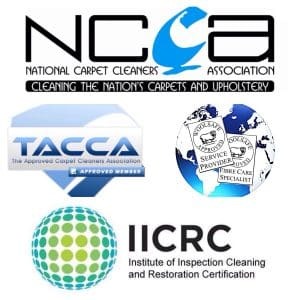 Fully vetted & verified member of TACCA The Approved Carpet Cleaners Association. Professional service. Carpets left looking like new. Great service once again , highly recommended.